FIRST-TIME PARENTS| Planning for Maternity Leave | Merin and Co. 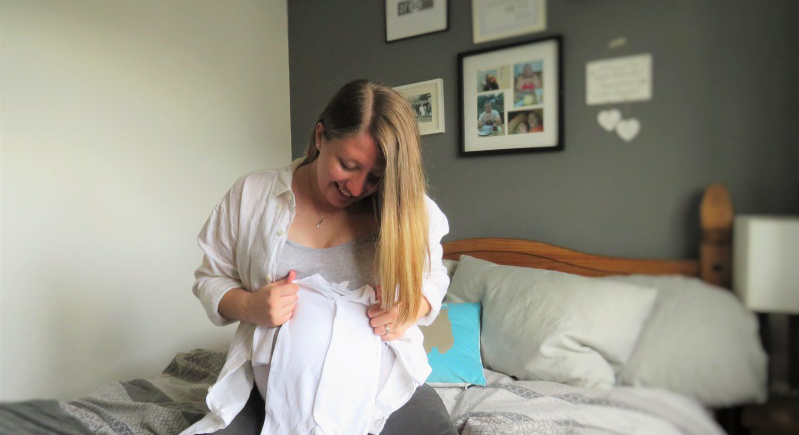 I recently had the privilege of writing a guest post for the lovely ladies over at shesaworkingmum.co.uk. I wanted to share my post here too! For those of you who are new to Merin and Co. I’m Erin New, wife of Michael (Michael + Erin = Merin) and dog mum to Nala! We are expecting our first baby in July and up until now I had simply considered myself as “pregnant”. However, the lovely Dani at she’s a working mum kindly said that I am indeed a working mum – the baby just hasn’t arrived yet. I hadn’t thought about myself in this way until Dani said it and it instantly struck a chord with me. I have definitely changed over the course of this pregnancy. Whether I’m more cautious and considerate or at times more inconsiderate of others due to my mood swings. Let’s be honest growing a tiny human is hard work some days! My husband and I have been together since we were sweet 16 which is over a decade now. We have officially been Mr and Mrs New for just over a year. Being honest, babies weren’t on our radar this time last year and now we are around about 2 months away from meeting our first little love. Now that’s not to say baby no.1 is a “surprise”, we did actually decide that we were going to be “more relaxed” in our approach to starting a family as we felt ready. We were extremely fortunate that our more relaxed approach led very quickly to being pregnant. We are definitely over the moon to be able to look forward to meeting our first born. On the other hand, this has not allowed us a lot of time to prepare financially. After taking the decision for Mike to become a trainee not too long ago, this is something that we have had to carefully consider. We also don’t have many close friends who have children so our eyes have been opened to just how under-prepared and under resourced we are! The emotional readiness that we naively thought we had has quickly turned into a whole host of mixed feelings! Here’s how we have started to prepare whilst both working full-time alongside Michael’s studies! There is an absolute minefield of products and ‘essentials’ out there. Michael and I have spent hours looking at essentials lists and trying to get our head around 1. What is really essential and 2. Where on earth we are going to store all of the items that we do indeed deem essential? They would have you believe that this small baby you are bringing into the world has a predetermined rider and that everything it wants should be top of the range – demanding already isn’t it! This little superstar that is soon to arrive into our world! The room that was to become the nursery was being used as Michael’s walk-in-wardrobe, that’s right, Michael’s not mine! My husband has a lot of clothes. Our first step on our journey to parenthood was to cut down on our own items. We know that once the baby is here it’s likely to take up more room than we anticipate. Once we’d decided where our little noodle would be living we had to start and plan the other parts of our house. Where could we re-purpose furniture and what would we need to purchase? I planned how we were going to organise the second bedroom. I wanted a small double to fit across the back wall and a wardrobe that was adequate to store as many items of Michael’s clothing as possible. We also had the grand budget of £0 to play with at this point. 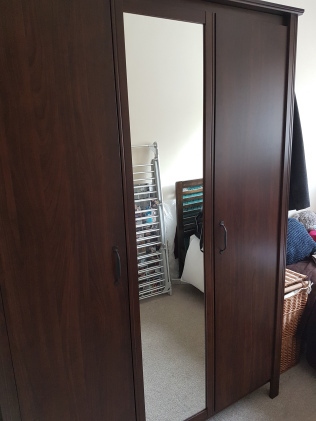 Nonetheless I did my research and found a fabulous 3 door wardrobe from Ikea for £140. Still significantly higher than our current budget but it was a great size and came in either dark brown or white which gave us some flexibility when finding a bed. Fortunately for us Michael’s Mum was also doing some revamping and she had a spare small, double in dark wood which she donated to us. This meant that to complete the room we only had to purchase the wardrobe! We wrote out a budget and decided we could afford to buy the wardrobe the next month. Then we were then able to move Michael’s things out of his walk-in-wardrobe and we were actually able to start planning the nursery! From the beginning of our pregnancy we had been open about our decision to opt for second hand items. This came with some initial hesitation from family and friends. We stood strong in our decision. So far we have been able to source a Mamas and Papas pram and pushchair combo, a moses basket, a baby carrier and a cot for free as well as an Ikea Poang chair for very little cost and a whole host of free toys! In order to do this we asked around through family and friends. We were fortunate enough to find people who were simply going to throw things away and were more than happy to give their unwanted items to us. We will be having the pram and pushchair professionally cleaned for £25 and purchasing new mattresses for both the cot and moses basket. 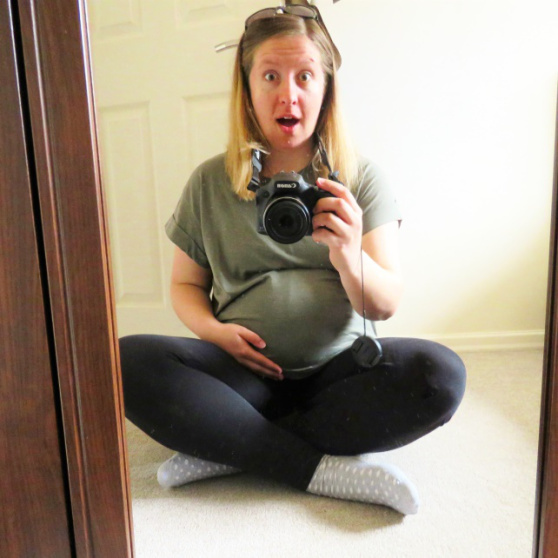 All in all I’m feeling relatively prepared, item-wise for our new arrival and the main baby purchase we need to sort now is a car seat – please send recommendations our way! This one’s a biggy for us at the moment. How do we plan financially for maternity leave? At this moment in time it would make more sense financially for Michael to take some of the shared parental leave due to his position as a trainee. Unfortunately this would interfere with his studies and so does not feel like a real option and as I am hoping to breastfeed it would not be ideal anyway. To reduce our outgoings and improve our financial position we put together an Excel spreadsheet and created a monthly cash flow. From this we identified costs that we could reduce as well as costs that have to stay. This has meant that we can plan when to buy things and hopefully maximise the time I can take off with the baby. Something else that I have decided to do is to take on a second job. This is not something that I have taken lightly. It is something that I feel is necessary to be able to give us as much flexibility in the coming months as possible. Fortunately for me I have the opportunity to fulfill a temporary contract so this is not a long-term issue. When our baby is born and we have found a routine we will be hunting for as many free activities as possible! We won’t be going on a holiday this year with the baby, unless our circumstances suddenly change overnight! We will be resisting adorable but unnecessary baby purchases. To help further, we have both cut down on our personal spending. No more clothing hauls and no more expensive lunches! Though we haven’t yet fully kicked the habit, we have cut down on dinner and drinks out and about which was a favourite pastime of ours! 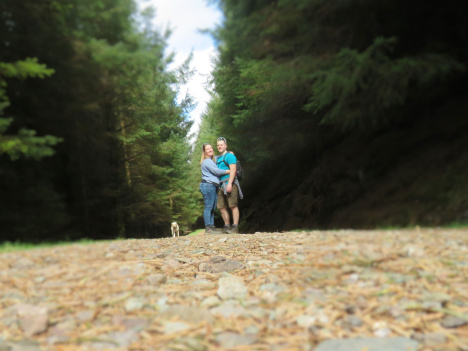 Instead we have opted for long strolls with our dog, attempting to meal plan (which is something we’ve never been very good at) and evenings in with family and friends. 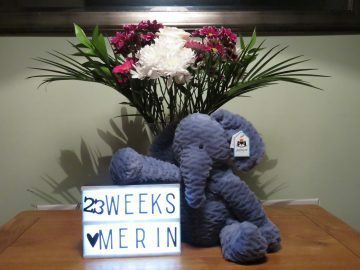 At the beginning of this journey I thought I’d have to leave our baby at the end of two months whereas now, with all our cut backs and adjustments, more time seems much more feasible. This is the biggest I think. The one we have least control over. The one that is most unknown. Sometimes I am extremely nervous about meeting the little person we have created and just how much they are going to change our lives. This is normally coupled with an overwhelming sense of joy each time they wiggle and kick (internal location dependent as I never realised I’d be being kicked in the ribs!). Sometimes the joy is short lived and I feel completely overwhelmed with how terrified I am that something may happen to the baby. That I’ll be rubbish, that I’ll lose myself to motherhood. Or, that I’ll become submerged under the needs of our baby. Will I be able to manage a basic standard of a somewhat normal existence? I am also aware that whatever my normal, rational, logical brain might say, it is likely that there will be times where my emotional, hormonal mind will completely, irrationally dominate. This is something I am just going to have to accept. I also worry that I will side-line Michael. That his needs will be put way down the line after the baby’s and mine. Although this may happen, it is important to me that we are able to recognise this. Hopefully this will mean as a couple and we can find a way to move forward together. Our marriage and bond is the foundation of this “New” family we are about to create! Michael and I have always been open and honest with each other. For me, this has been the most important part of our parenthood journey so far. I honestly think this is the only way we can attempt to prepare for the emotional roller-coaster we are about to embark on. I feel confident that together we can get through whatever the world throws at us. The majority of the time I am utterly delighted about meeting our little bundle of joy. I feel very positive that all will go well and everything will be as close to perfect as can be whatever the circumstances. I am now due in just under 4 weeks’ time. We don’t know who the little person we’re going to meet is going to be. I feel completely prepared and completely unprepared all at once! Above all, I can’t wait to meet them. Decide on your own essentials list! Make a plan of your purchases and when they’ll be. Small buys can add up so decide what you need and stick to it! Check your outgoings – can you adjust any of them? Is there the opportunity to earn extra to put in your savings? Enjoy the process and know that whatever happens, happens. There are only so many things in our control and everything else can be overcome somehow. Once maternity leave arrives I will be taking tips from Boss Mummy aka Georgie! 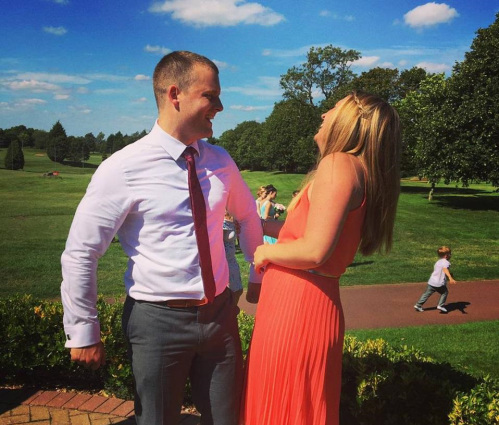 She wrote a fab blog on budgeting on maternity leave (also on shesaworkingmum)! Cheap soft play here I come, walks in the park will continue and I won’t be doing any clothes shopping….other than if I put holes in the ones I currently have! 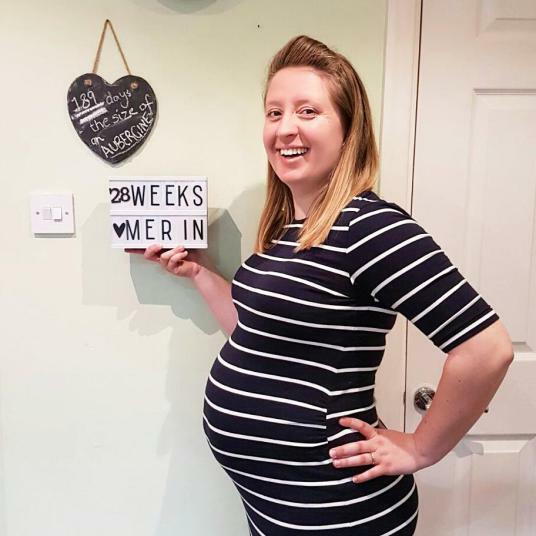 To read Georgie’s post about budgeting on maternity leave click here!